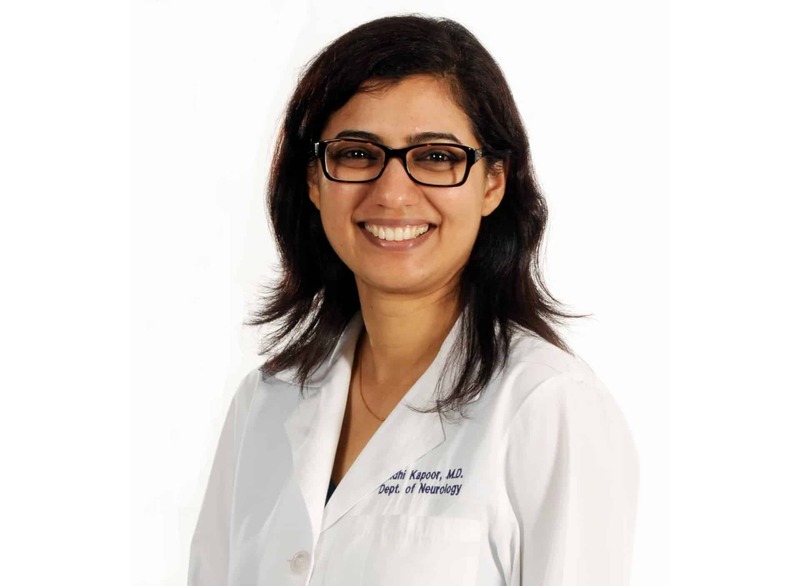 Nidhi Kapoor, M.D., has joined the Department of Neurology as UAMS' first neurohospitalist. Oct. 16, 2017 | Oct. 16, 2017 | Nidhi Kapoor, M.D., has joined the University of Arkansas for Medical Sciences (UAMS) as its first neurohospitalist, combining advanced training in neurology with a specialized understanding of caring for patients while they are in the hospital. Neurohopsitalists have advanced training in both hospital medicine and treating neurological conditions that can result in hospitalization, including intractable seizures, multiple sclerosis, myasthenia gravis, acute and chronic inflammatory demyelinating polyneuropathy, and status migranosus. Kapoor also serves as an assistant professor in the UAMS College of Medicine’s Department of Neurology. In addition to treating patients, she conducts research and trains residents. Archer said that adding Kapoor to the neurology team lessens the hospital-based workload of some of her colleagues who specialize in treating particular types of neurological conditions so they can focus on providing specialized care at UAMS’ outpatient Neurology Clinic. “She is another key piece of the puzzle as we build upon our ability to offer the most complete array of specialized neurological care in the state,” Archer said. Kapoor cited UAMS’ comprehensive neurology specializations as one of the things that drew her to the position. Kapoor obtained her medical degree from Dr. Vaishampayan Memorial Medical College in Solapur, India. She completed her neurology residency in the Department of Neurology at the University of Oklahoma Health Sciences Center.